It seems as Gotham moves forward it will have a more linear structure than its similar competitors. Many of Gotham’s superhero show counter-parts have displayed a more; villain of the week style format. For example, Arrow which exists in the DC universe just as Gotham though it is in a different time period. The CW Green Arrow centred show had a very self contained style in the first season, the episodes featured a different jeopardy week to week in many of the episodes in season 2 however admittedly that series had a more of an ongoing story. The character of Deathstroke, the cliffhangers and the storyline focussing around Sebastian Blood in season 2 was too much to consider it completely in-keeping with this “monster of the week” formula. 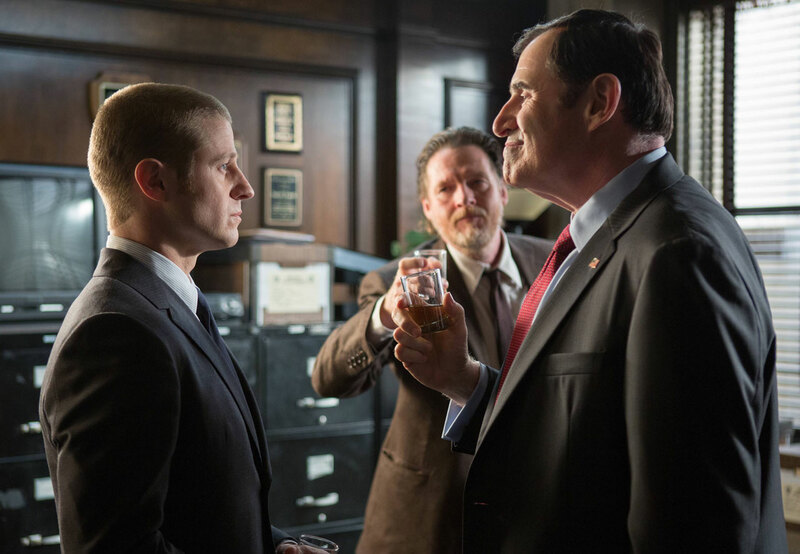 Gotham is very unlike this kind of show, though episode 2 had a different case to its predecessor the arc remains unresolved and the real plot is in the villains and the power struggle within Gotham. Not to mention the fact that the cliffhanger of this episode’s ending was a direct result of the case that was featured in it and therefore will be resolved next week. Once again the political struggle between Gotham’s gangs to become supreme king of the streets is fascinating. Jada Pinkett Fish is mesmerising as Fish Mooney, it is amazing that her scenes can be so gripping given that so far most of her scenes have been mainly dialogue. In episode 2 there was a entrancing scene between Mooney and gang boss, Don Falcone in Mooney’s club. The scene consisted of the two characters simply sitting at a table talking, but due to the fantastic acting and excellent script work it was more interesting than most of the action. It is a brave move to set a TV show in a comic book universe and have the faith to lock off the camera and allow a nice long scene of brilliant acting and revealing character exposition. You want to decode every odd power move and unexplained attack made by these powerful gangsters, I find myself trying to work out the reason behind every moment that doesn’t make immediate sense, how it will benefit the villain down the road. This occurred for me during the scene in Mooney’s club, why would Flacone have his men attack the man that is involved with Mooney? I believe, it was due to jealousy. There is a moment in their exchange where Mooney says Falcone is like a father to her, could it be that Flacone doesn’t want Mooney to be near any other man, whether it is in a father daughter relationship or a romantic one? I think so, this is why he made her point to the man she was sleeping with and had the fellow beaten by his’ thugs. Once again Ben McKenzie puts on a charismatic performance as Detective James Gordon, from the opening shot of the ancient streets of Gotham, as Gordon stands with clenched fists, pensive and perceptive at the scene of a crime the sleuth oozes violent potential. He appears angry and ready to exact justice at the appropriate time, the constant references to a war on the streets of Gotham in the promotional material is spot on, as when a crime occurs McKenzie’s Gordon has the look of a warrior. 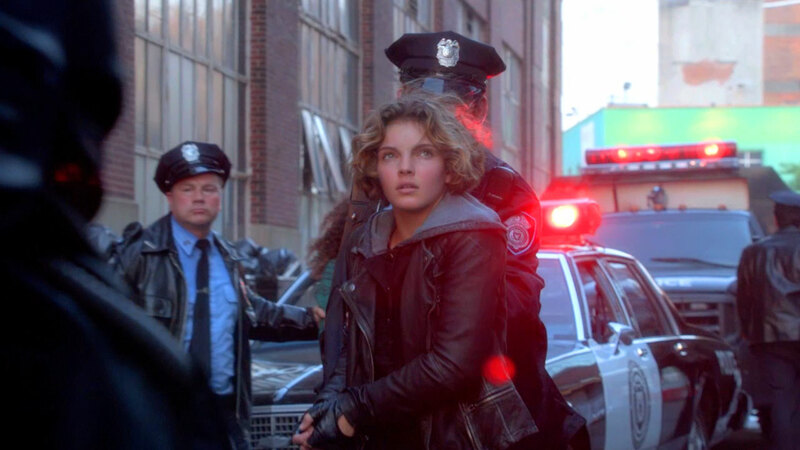 This was another beautifully shot episode with intriguing plot and well portrayed characters, Gotham appears unique, fresh and timeless all at the same time. If you ask me Fox have achieved their goal in bringing the city and it’s vivid personalities to life.